Lewes felt although Jane Eyre was good, it was a bit over the top with melodrama, and Jane Austen had a more controlled, and wise style of writing, that he preferred. Now I love Charlotte, I used to be a card carrying (literally, I had a card) member of the Brontë Society, and if I still lived in West Yorkshire, as the card got me in free to the museum, I still would be today. However, I personally suspect part of her disapproval of Austen is rooted in the fact she didn’t appreciate the humour. There is very little in the way of light hearted amusement in any of the Brontë sisters novel, there’s a lot of religion and anguish, but sometimes it’s nice to laugh, dammit, at least until it becomes a fit of TB coughing. The problem with humour is if it is not to a person’s taste, unlike say a drama, which just becomes average or boring, humour that misses the mark can anger us. To be in a room full of people all laughing at something we don’t find funny can be quite alienating, and worst still, to not process a joke others can makes us feel inferior. And the worst part is, that humour was not easy to write. Possibly the hardest thing in the world ever to write is a three minute comedy sketch, especially for the radio, so devoid of visual aids. A scene, set up, middle and pay off has to be expertly placed into those minutes, is the Guerrilla warfare of writing. I understand the differences in their lives is what made them who they are. Jane Austen never married and wasn’t exposed to nor witnessed hardship in the same way as Charlotte, but that doesn’t mean her voice isn’t worth hearing. As a teenager I’d have sworn I would be Team Brontë Sisters till I die, and Emily’s ‘Wuthering Heights’ will always be one of my favourite novels, but the older I get, and the more I appreciate how hard it is to be funny, the more I appreciate Jane Austen. She was writing the people and places she knew. We can’t all live on moors, witness vast amounts of death and be sent to an awful boarding school. Life doesn’t have to be as cheerful as a Thomas Hardy novel for everyone. These days I find myself valuing Elizabeth Gaskell more. Like Dickens, she made a point of witnessing and representing the hardships of her time, as well as injecting in some warmth and humour. Although they are all important, they all contribute, and I really hope Jane and Charlotte are not up there on a cloud right now, scrapping it out (George Eliot referring, Gaskell with a bucket and sponge) although that would be highly entertaining, and someone should re-create it in plasticine. and in the blue corner, Jane ‘The Empress of Escapism’ Austen…ding ding! Thanks 🙂 I do like a nice, bleak novel once is a while but a Jane Austen happy ending is a thing of beauty! Great post. I’m laughing at the idea of them fighting it out with Eliot and Gaskell watching on. Your right about Gaskell. 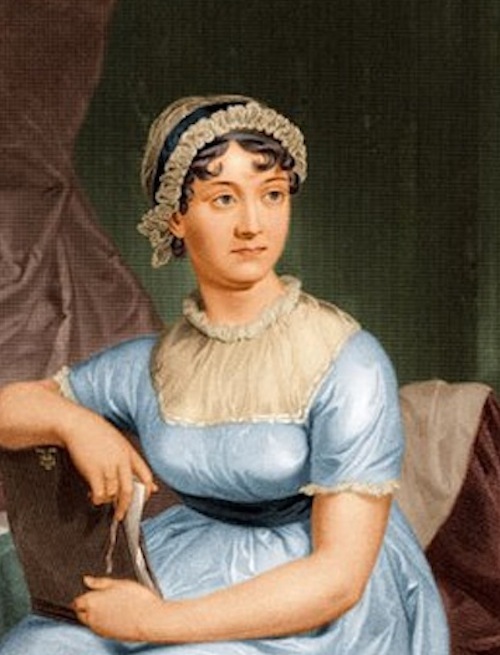 She isn’t as well known outside of book lovers as Austen or the Brontes but she does achieve a happy medium in terms of tackling social issues, and laughing at society a la Austen. Love the idea of Eliot refereeing the scrap 😀 I’ll admit to not being the biggest Bronte fan (although I really like Tenant of Wildfell Hall) but I do love Gaskell. As you say, she had quite serious things to say but she had such a lightness of touch and gentle (but incisive) humour. I’ve never read her biography of Charlotte though, have you read it? I liked Wildfell Hall, too, it’s so strange being half diary, and if I remember rightly Charlotte thought it was rubbish (cheers, sis!). I was thinking about Gaskell’s biography the other day, I have read it, but I was quite young and I think if I’m honest I didn’t appreciate or even understand a lot of it, it’s definitely something I need to re-read. I recently re-read Daphne Du Maurier’s ‘The Infernal World Of Branwell Bronte’ and got loads more from it than I did when I was a teen. I’ve not heard of the Du Maurier, I’ll seek it out. I think Charlotte thought Wildfell Hall quite scandalous, and tried to distance Anne from it – she definitely wasn’t supportive! I don’t think she liked Wuthering Heights, either, and burned a lot of Emily’s work after she died. Branwell was the most entertaining one of the lot, definitely worth a read! Great post Lucy, I gave this to my mom and she shrugged like ‘okay,’ because she’s team Bronte while I am team Austen. But, it’s true writers like to argue over the smallest of things with their contemporaries. I am just glad that you looked into this and reminded me that it’s not about whose writing you prefer but also about giving others a chance and listening to their views of the same Era or setting. Amazing post. As much as I like Jane Austen, I can’t help but be a team Brontë all the way…Charlotte in particular. I don’t know, the entire experience of their books is more enjoyable to me. Huh…what does that say about my sense of humor?! I’ve seen this quote from Charlotte Bronte before and always thought she was being a bit unfair to Austen; there’s a lot more to her books than light drawing room comedy. Persuasion is very bitter in places and from what I remember Jane Austen was actually considering a different ending that didn’t involved them getting back together and living happily ever after. 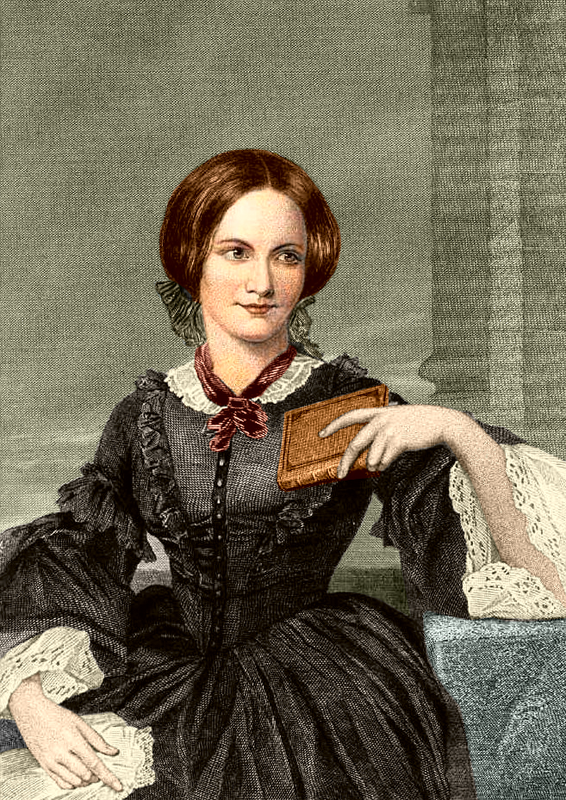 I’m a huge fan of Charlotte Bronte and Jane Eyre is my favourite book ever, but I cant help thinking she was just being a bit snarky because Jane Austen went to more parties than she did. Ha haa! Yes, I reckon there is some jealous in there, plus the Prince Regent was known to be a fan and invited her to the palace. I do love Charlotte, but I can’t help but think she was a tad angrier and more ambitious than she is often represented, and very likely cringing in her grave that her private snarking in letters was later made public. It’s a shame that Charlotte didn’t realise that different books appeal to different people, and that there doesn’t have to be a right and a wrong. I love both for different reasons, and different reading moods. Though if I had to pick out just one writer of their era it would, without a shadow of a doubt, be George Eliot. I agree, Charlotte didn’t seem to realise how much her judging of someone else’s art sounded like sour grapes, it’s all important. I hate Thomas Hardy with a passion but I know he was a good writer. I think George Eliot is probably the most accomplished writer of that era, I don’t enjoy her the most, but I do think she was the most talented and intelligent.